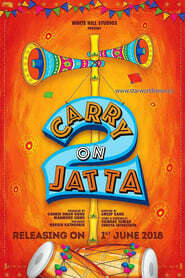 Carry on Jatta 2 picks up the fun where Carry on Jatta ends. The story follows Jass, an orphan, but a happy-go-lucky guy whose sole purpose in life is to go to Canada by any means possible. After numerous attempts of going to Canada and many taunts faced from his landlord, Advocate Dhillon and his best friend Goldy, Jass decides that marrying a Canadian girl is the only way he can fulfil his dream. Jass appoints his friend Honey to the task, who then introduces him to Meet an NRI. Jass succeeds in wooing Meet but the confusion begins to rise as he learns more about the particular qualities Meet wants in her future husband. What kind of tricks and sticky situations do Jass, Goldy and Honey get themselves into throughout the quest of fulfilling Jass’s Canadian dream?